Animal Wildlife | Grey Reef Shark | The grey reef shark is one of the most common species of shark found in the warm waters of the Indian and Pacific Oceans. 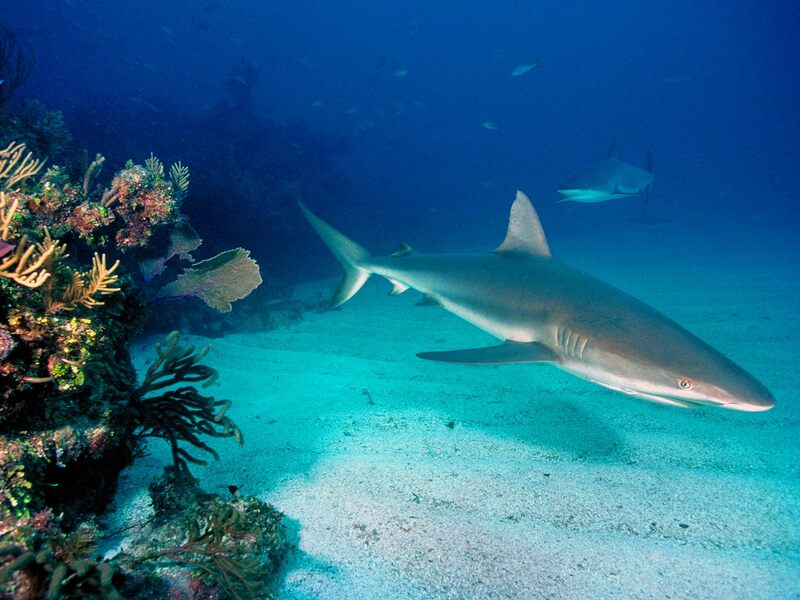 Grey reef sharks are generally found in the coastal regions and along continental shelves from the Middle East to the islands in the deep Pacific. Grey reef sharks are one of the smaller species of shark with adults reaching a maximum length of around 2m long and baby grey reef sharks being around 50cm long at birth. 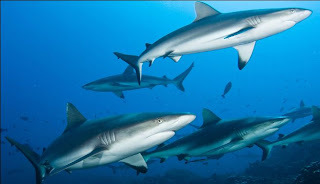 Grey reef sharks feed on reef fish, squid and shrimp. The grey reef shark is not thought to pose a great threat to humans and the grey reef shark has been noted to be inquisitive towards divers. Other species of reef shark include the white tipped reef shark, the black tipped reef shark and the Caribbean reef shark, all of which belong to the same family so have similar characteristics to the grey reef shark. 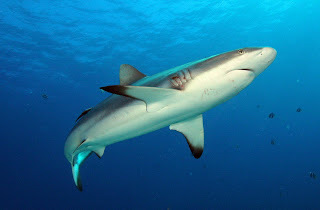 The grey reef shark has a very distinctive shark-like appearance which includes the long slender body of the grey reef shark, large fins and a rounded snout. The grey reef shark tends to gather together in schools with other grey reef sharks during the day, but the grey reef shark is generally more active at night. The grey reef shark tends to move about slowly gliding silently through the water at speeds that often do not exceed a few miles an hour and the grey reef sharks are commonly known to lay on the ocean floor for long periods of time. 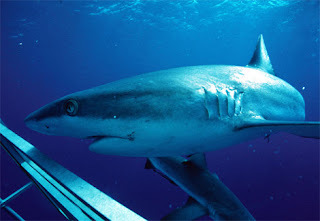 However, when the grey reef shark detects food in the water, the grey reef shark is known to suddenly become very active and quick, with the grey reef shark often becoming fairly aggressive if there is food about. The grey reef shark has very few natural predators in its coastal, underwater habitat as many larger water-bound carnivores tend to lurk in the deeper waters. 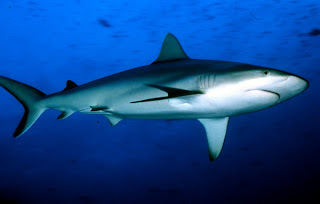 When the grey reef shark feels under threat, particularly from larger species of shark or from humans diving, the grey reef shark tends to react in a very distinctive way with the grey reef shark arching its body up and moving its head slowly from side to side whilst the grey reef shark is swimming along. The grey reef shark is thought to do this to intimidate unwanted company rather than in preparation to attack it. 0 Response to "Grey Reef Shark"